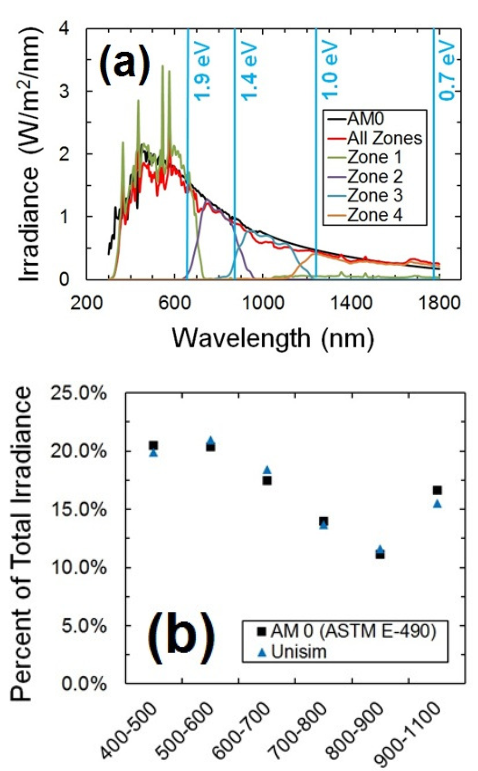 While advanced solar simulators provide a close spectral match required to accurately measure multi-junction solar cells, the ability to control the spectrum of a solar simulator is also advantageous. Being able to adjust discrete portions of the spectrum while a device is under test allows for specific sub-cells to be limited or saturated with their appropriate wavelength of light. Thus the behaviour and characteristcs of the device can be fully investigated. Therefore, a further distincition can be drawn between advanced solar simulators which provide a close-match and those which not only provide a close-match, but divide the spectrum into controllable "zones" which are suited to the spectral response of each band gap within the solar cell. Instruments that provide this capability are invaluable to advanced solar cell research and development and are increasingly cited in the research literature.